Looking back on the late 1970s and early 1980s at Boston University, it is easy to understand why Howard Zinn was “our favorite teacher.” He was more than just a teacher and historian. He was probably the most popular mentor and faculty adviser on campus. Anyone who visited the Political Science department will remember the long line of students patiently waiting outside his office to discuss projects or seeking his advice or support. He was always accessible, optimistic, and encouraging. He was also the adviser to, among others, the BU Exposure, a left-progressive student newspaper that was censored and thrown off campus for investigative reporting critical of the university president; and the Free School, a progressive student organization that offered up to 100 free classes in the evening taught by volunteers. Press conference announcing the ACLU suit on behalf of the bu exposure for censorship at BU. Terri Taylor is speaking. Howard Zinn, who served as the faculty adviser (and who refused to censor the paper) is second on the right, and the attorney for the exposure, Michael Posner is hidden by a camera. 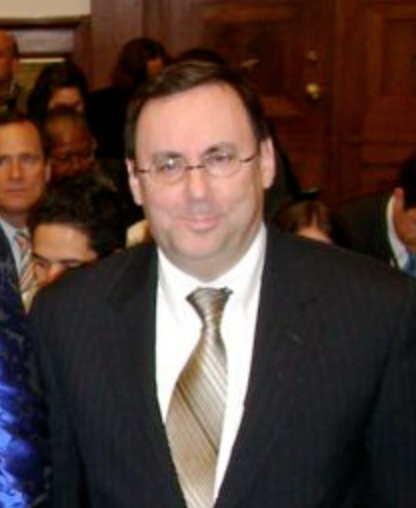 Posnor was named a federal court judge by President Clinton, and is currently a senior U.S. District Court judge in Springfield, Mass. Photo courtesy of Stephen Kohn, BU Exposure files. But most importantly, Howard Zinn was an inspiration in a sea of turbulence. BU was sort of like a Petri dish of social and political conflict then. 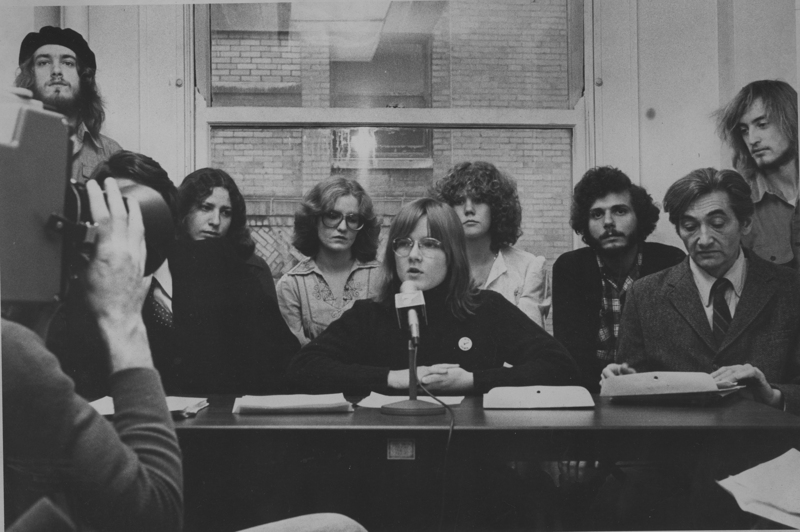 Student protests against tuition hikes in 1978 were soon followed by union picket lines when four of five campus labor unions went on strike in 1978–79. BU’s president was a far right-wing extremist who enjoyed instigating these and other conflicts. 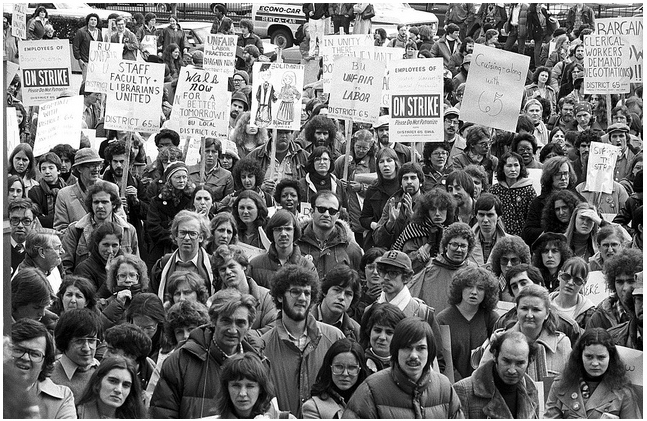 Boston University staff/faculty strike, 1979. 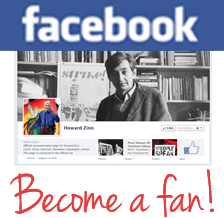 Howard Zinn is standing near the front. Image: Boston Public Library, photographer Spencer Grant. After the labor strikes ended it became national news when BU announced in the Fall of 1979 that Howard Zinn and other professors who supported the unions were to be fired for teaching classes in alternate locations or facilities. The administration took particular pleasure in charging Zinn and the others for allegedly failing to teach at “designated times and places” in violation of the newly signed faculty union contract. All that they had really done was to teach at places that did not require anyone to cross the picket lines of striking clerical workers and librarians. During this turmoil Howard Zinn continued to teach his regular courses, and he provided his students–both inside and outside the classroom–real life lessons about the value of effectively organizing against powerful interests. It is somewhat remarkable that he finished writing A People’s History of the United States, published in the spring of 1980, in the context of those times. Even when faced with the prospect of an unjust termination from BU, Howard Zinn invariably remained optimistic through a battle that ended successfully with the university dropping its efforts to fire him and the other professors who refused to cross the union picket lines. With steady calm, he reminded us about the importance of social and political movements and how the history of those movements in America applies to every day life. 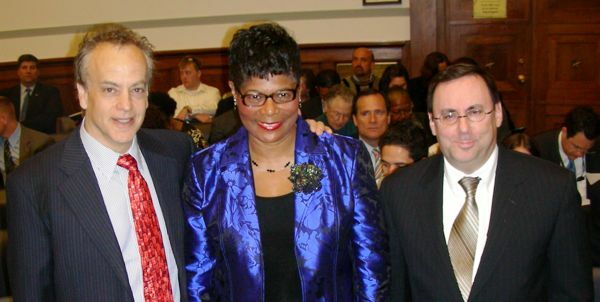 Michael D. Kohn (L) and David Colapinto (R) represented Bunnatine “Bunny” Greenhouse who was demoted after revealing instances of waste, fraud, and other abuses and irregularities by Halliburton with regard to its operations in Iraq since the 2003 invasion. For me, those experiences have proven to be invaluable in what is now a long legal career representing whistleblowers. However, at that time, as a young BU college student more than 30 years ago, it was difficult to imagine that such lessons would later become so vitally important to my own professional development, but they have. Nor did I know that I would go on to practice law for more than 25 years (and counting) with Stephen Kohn, another of Howard Zinn’s students. Much of our effective advocacy for whistleblowers is due in no small part to Howard Zinn’s teaching and influence. One example is when he invited Daniel Ellsberg the famous whistleblower and the “most dangerous man in America,” according to Richard Nixon, to speak to our class about blowing the whistle on U.S. involvement in the Viet Nam war through disclosure of the Pentagon Papers. That same evening Ellsberg spoke movingly about the influence that Zinn’s writings had in changing his mind about the war and inspiring his famous whistleblowing at a large student rally organized in support of Zinn and the other professors who faced termination. David Colapinto is an attorney for Kohn, Kohn & Colapinto in Washington, D.C. and a nationally recognized whistleblower advocate with expertise in government fraud, qui tam cases, and whistleblower retaliation cases.